The Aero banner system is quite simply unique. 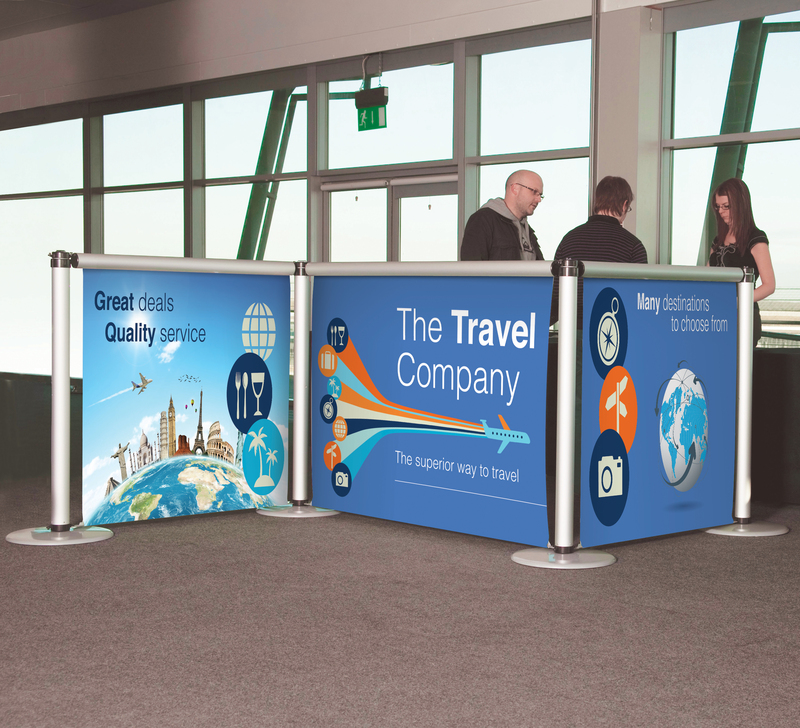 The system concept focuses on the upright poles made from lightweight aluminium. Set up the poles, then sit the graphic cassette on top of two poles. 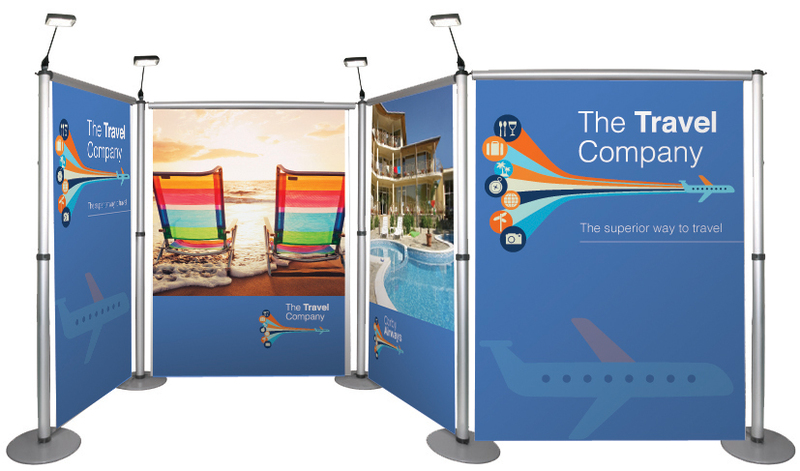 Pull down the printed graphic (just like a window blind) and you are in business. So simple it is genius! 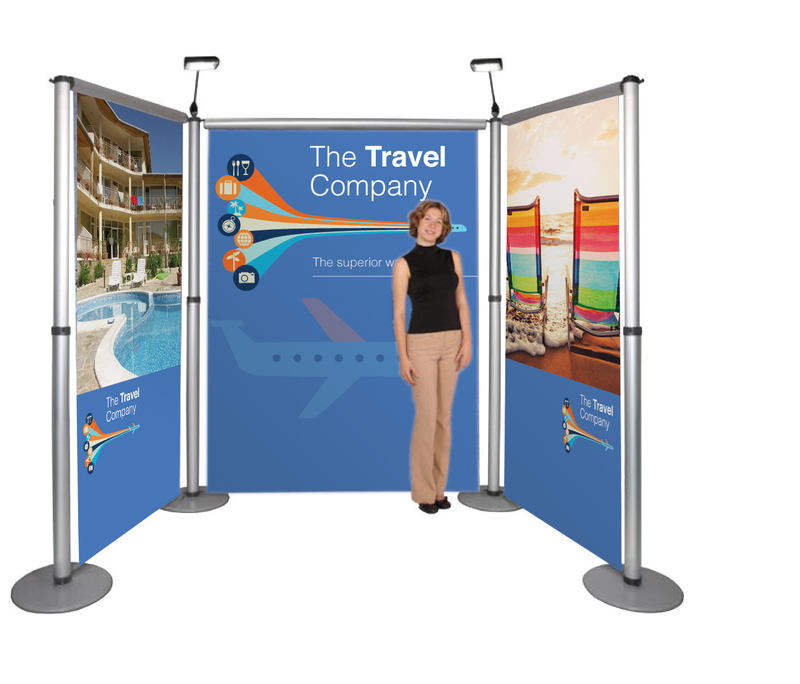 Join together as many as you want to create low cost room partitions and exhibition displays - fast. When you need them, just buy new cassettes and your message is updated. Poles can be fixed at three different height! Please call 0203 137 2834 for artwork templates or quotes.